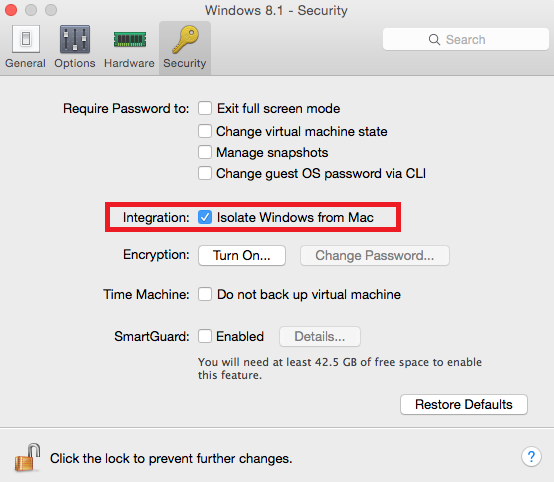 When a virtual machine is isolated from Mac OS, folders, profiles, applications and external drives are not shared between two operating systems. In general, it becomes impossible to copy a file from one operating system to another. Isolating a virtual machine provides the highest level of security by not allowing possibly compromised items from one operating system to come into contact with the other.